Have you ever considered reading a play? I’m a huge book worm but shamefully I haven’t read a script since University, so I jumped at the chance to join Oberon Books new influencer scheme. Oberon books is a must for any culture vulture. 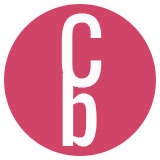 They are an independent UK publisher specialising in the performing arts. They have over 1000 books from classics to contemporary and plays to biographies. Good ole Twitter alerted me to their new Stars scheme. Oberon were looking for bloggers to work with, which meant bonus access to exclusive competitions, SWAG and cheeky sneak peeks before anyone else. Erm, sign me up! Oberon sent a Christmas list of books that I could choose from and delivered the three I wanted a couple of weeks later. Check out my short and sweet reviews below before I tell you why you should read a play! A laugh out loud farce with a fresh twist. You might recognise this play from its short run in the West End in Spring 2017 with famous faces such as Lee Mack and Mathew Horne. It’s a dysfunctional family affair about a father who is a true skinflint. This modern adaptation has contemporary references and allows Lee Mack to play multiple house servant roles, only adding to the comedy and confusion. The silly gags and strong Yorkshire slang make you feel right at home. This is a co production from Hull Truck Theatre and Royal Shakespeare Company. The play takes you back to 1642 where Parliament tasks the governor of Hull with securing the arsenal and denying entry to the King. The only problem is, he wants to please every side, including satisfying his own agendas. It might just be worth losing his head over. This new collection holds a refreshing mix of plays that I couldn’t put down. Great Britain is a topical masterpiece that had its own politics to deal with. The Nap is an authentic look at the shady world of snooker with many twists and turns. Pub Quiz of Life draws on intriguing characters with strong references to the playwrights hometown of Hull. Pitcairn highlights all the wrongs in humanity and Kiss Me stands out as the black sheep of the collection with an unorthodox love story. I want to leave you with three reasons to why you should go out of your comfort zone and read a play! You can interpret the text however you want. Take back some creative control. It’s fun to play each part as you read. Talk out loud and freak out your partner. Dialogue is much quicker to read than prose. Get through a book in a single sitting. Make sure you head on over to Oberon Books for a nosey of their huge selection. Go on, give a play a read and see what you think. I’d love to hear what your favourite’s are!